I’m not only excited to be teaching through the Gospel of John in 2013 but partnering with Navigators who want to follow along in their small groups. Some of our leaders have asked if there are any additional resources outside the DISCUSSION QUESTIONS we’re providing that can further enhance their study. I wanted to post a few things that might help. Remember, nothing is as effective as small group leaders supplying the study of John with their own questions that both digs the group into the text of Scripture and seeks how to apply the truths of those Scriptures in a way that honors Christ and reveals the goodness of his gospel. You best know the strengths and weakness of your group, leverage that knowledge to move them toward full devotion to Jesus! ESV Study Bible – Bar none, this is the best study Bible I’ve ever run across. 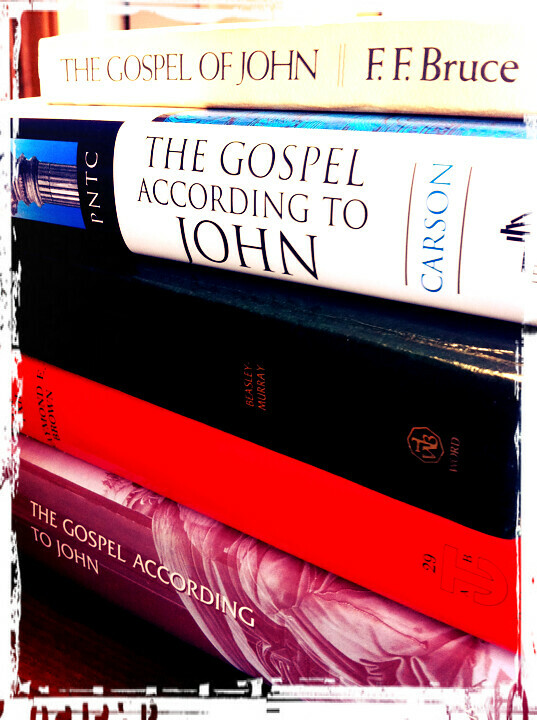 If you want a brief running commentary as you work through the Gospel of John, look no further than the ESVSB. Great video! We can tell you’re really excited about this study!